Dili is the sleepy capital of Timor-Leste (East Timor), a country which makes up one half of the island of Timor, the other part being taken up by West-Timor which forms part of Indonesia. Although there are quite a few things to do in Dili, the capital is very relaxed and quiet… slightly reminiscent of a Caribbean village during summer siesta time. As opposed to other countries in Southeast Asia such as Indonesia, Malaysia and the Philippines, Timor-Leste is not a destination you’d usually find on a budget traveler’s itinerary, the reason being that the country is comparatively more expensive to travel in. Drawn by the challenge of an unusual destination, we were happy to find that there are some (note that we do not say plenty here) things to do in Dili on a budget. We spent about half of our two weeks’ stay in Timor-Leste within the country’s capital, and in between excursions to the Indonesian embassy (since we were also applying for a new visa to Indonesia), we found enough things to do in Dili, Timor-Leste to keep us occupied during our wait. 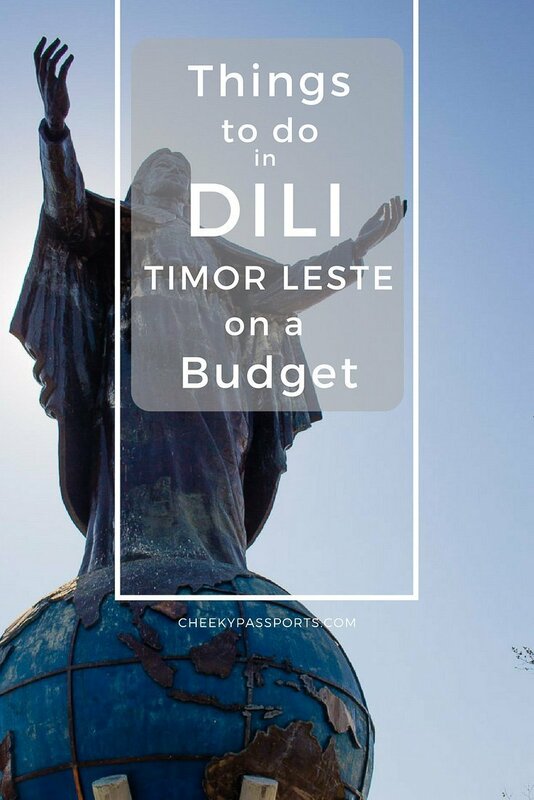 Here is our list of some of the best things to do in Dili on a budget. 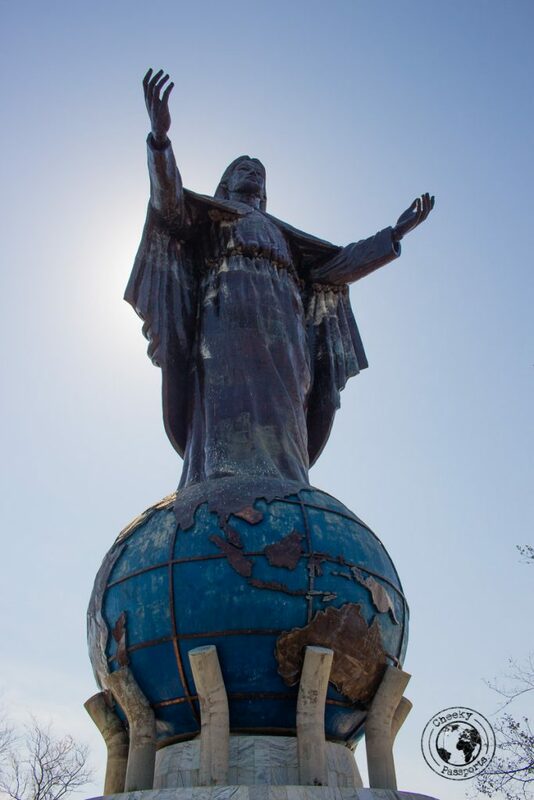 Dili has its very own Jesus statue on a hill which can be visited for free. It can be found just outside of Dili city centre and can be accessed via public transport using Dili’s mikrolet no. 12 (starting off from the coastal end of Rua Belarmino Lobo). The mikrolet drops you right at the foot of the stairs, which of course, you need to climb! 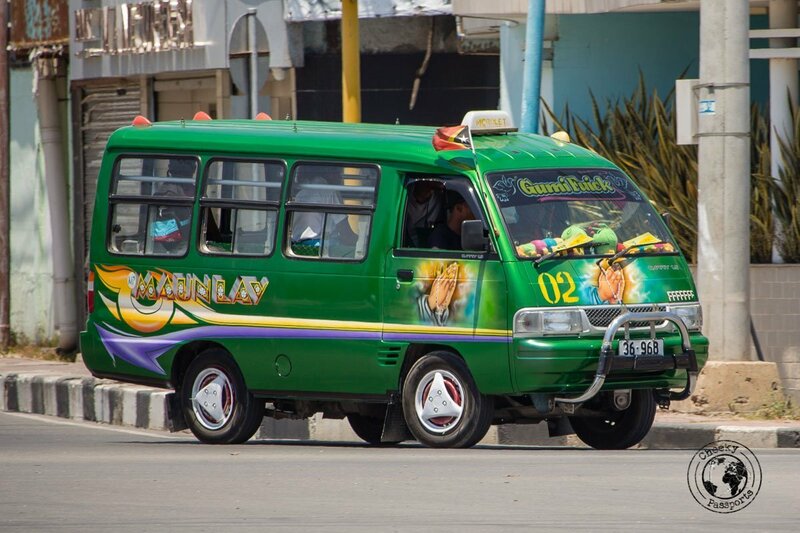 For tips about mikrolets, read our section about Getting Around in Dili below. It takes less than 20 minutes to walk all the way up. Try to avoid going there mid-day as it could get unbearably hot and be sure to take enough water to remain hydrated, as there are no kiosks in the area! The views from near the statue at the top of the stairs are quite spectacular and this landmark should be on anyone’s list if things to do in Dili, whether traveling on a budget or otherwise! 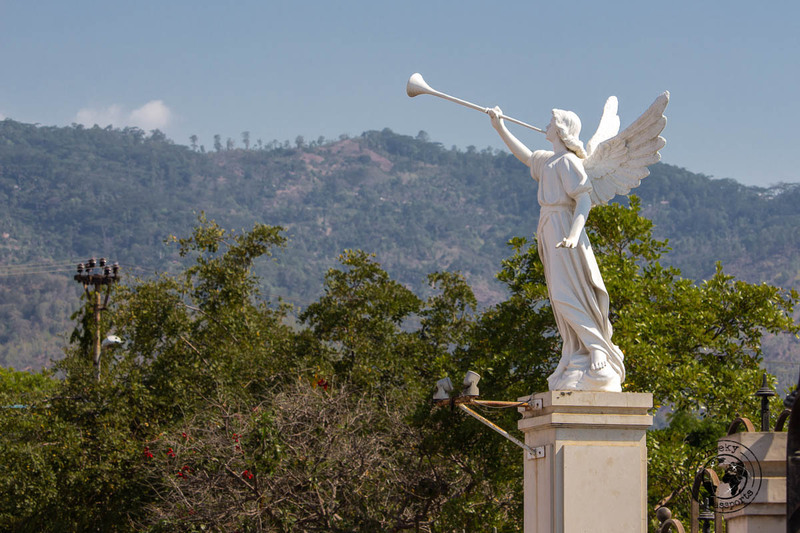 A visit to the Cristo Rei is usually included on a day tour of Dili such as this. This aptly named beach can be seen from the Cristo Rei statue being, quite literally, right behind it. When going down the stairs after visiting the statue, turn to the left and take the stairs leading to the beach. Whilst not as spectacular as the beaches in Baucau or on Jaco Island, the beach here was mostly deserted, with soft white sands filled with sea shells. The low tide had uncovered shallow rocks, in between which, some fishermen had thrown their nets and were patiently waiting for a catch. Whilst we didn’t swim, we think that it might be a good spot for a cooling dip to beat the heat. Do be careful though, as there have been sightings of crocodiles, although we didn’t see any. Always ask the locals if an area is safe. 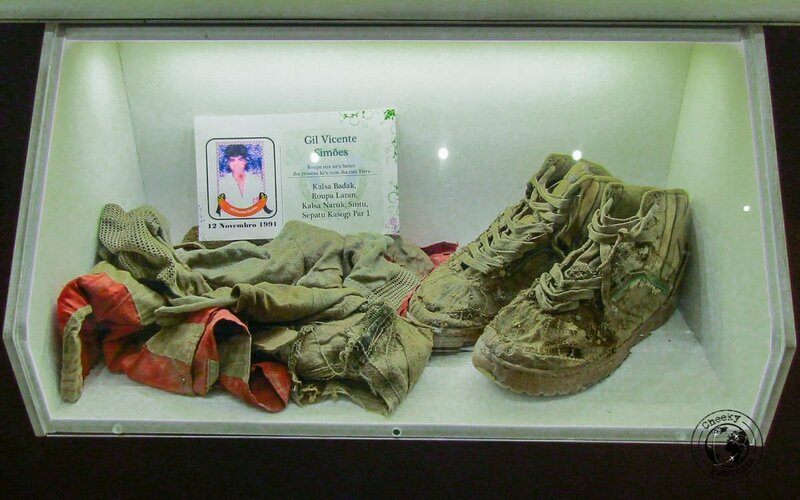 We are not museum buffs, unless they are somewhat quirky or related to food. Yet, when we were looking at what to do in Dili, visiting the Resistance Museum seemed to be highly recommended by other visitors and we thought that the $1 entry fee was very affordable, and so decided to check it out. 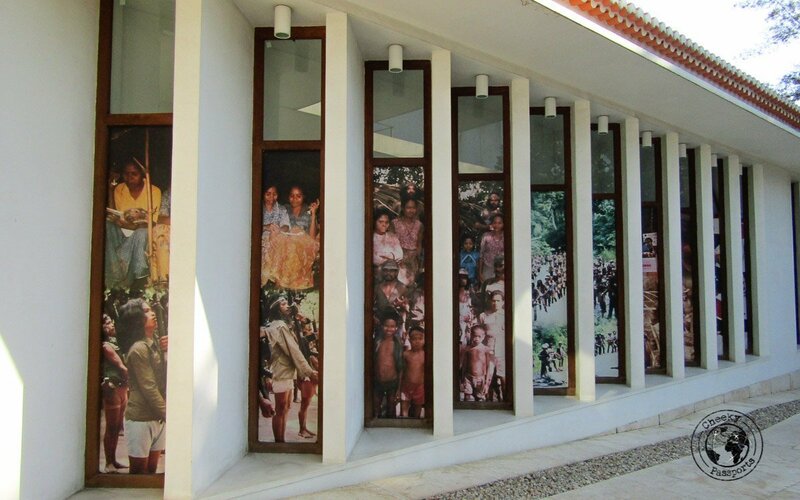 We found the museum to be captivating, providing an insightful look into Timor-Leste’s turbulent history during its occupation by Indonesia, highlighting the Timorese people’s struggle for independence. It is not a place for the faint-hearted, so we suggest you give this one a miss if you are highly impressionable to war footage and to hearing stories of suffering. Particularly poignant is the video of the Santa Cruz massacre. One of the most insightful things to do in Dili! 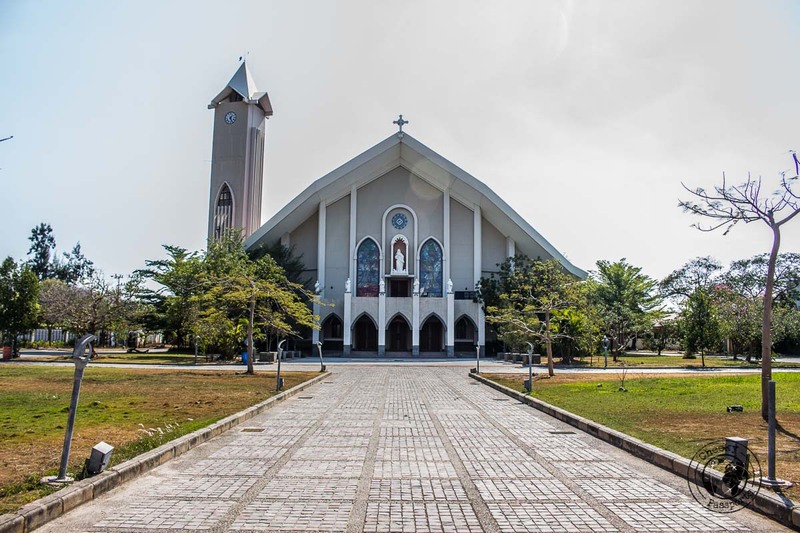 Whilst not as intricately beautiful as the cathedrals in Europe, the church is worth visiting if you are close by and looking at what to do in Dili. The cathedral is often closed so do try to check whether or not it is open on the day you plan to visit. 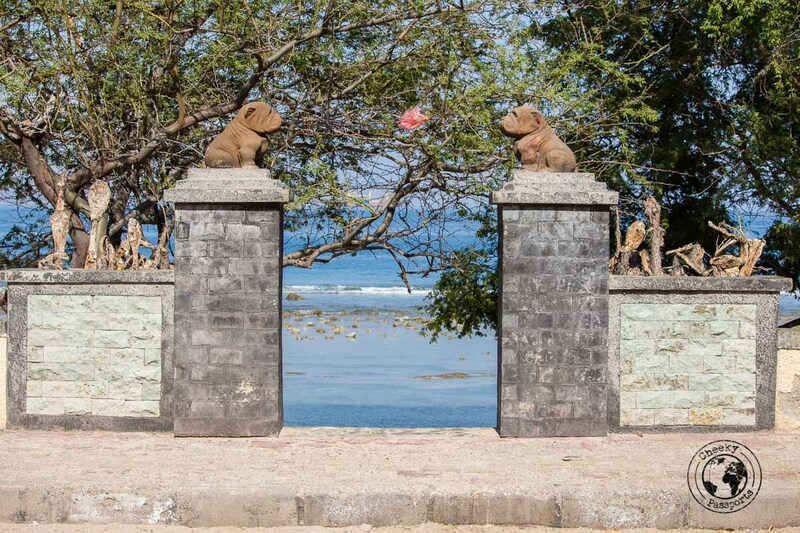 Although not one of the most exciting things to do in Dili, Timor-Leste, it is an icon in the city and worth some attention. 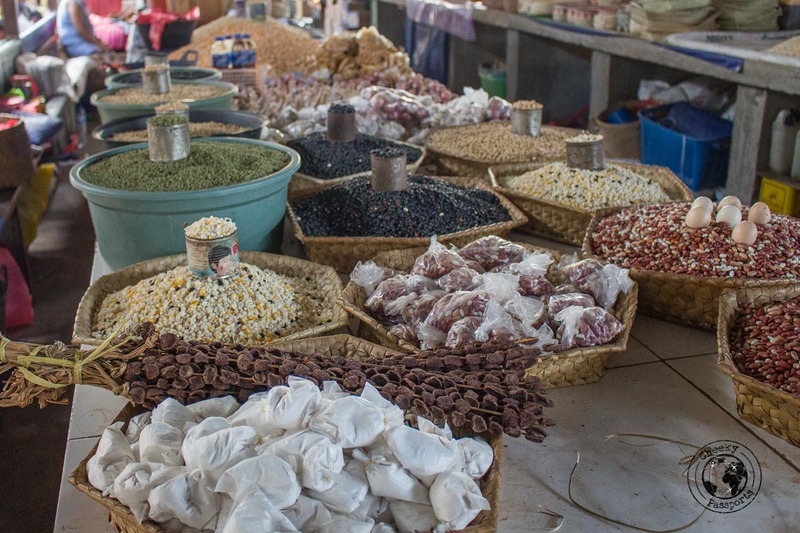 A visit to this local market is not typically on Dili’s tourist trail (if such a thing exists), and you should only go here if you enjoy interacting with locals, savouring daily life and roaming around stalls selling local produce, animals and most of all chillies. 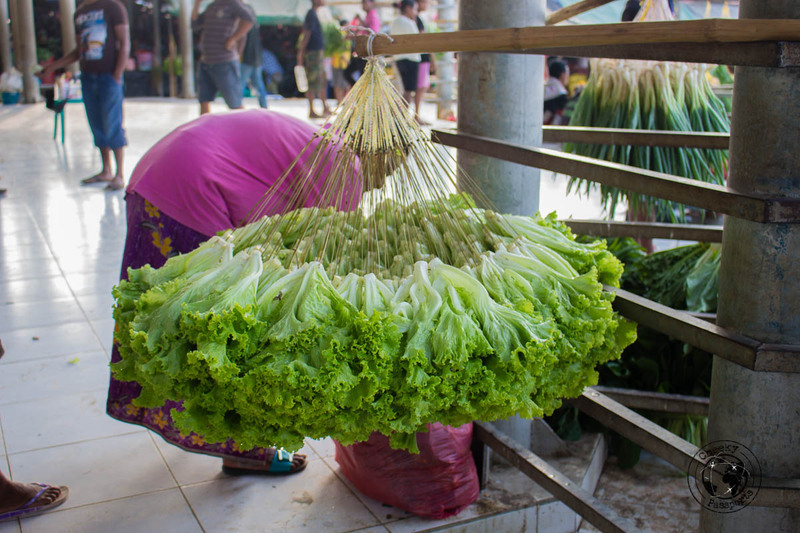 We love visiting local markets during our travels, so we made sure to include this little-known spot on our itinerary. The locals were incredibly friendly and very curious as to why we were there. And we did spot the most beautiful lettuce in the world! 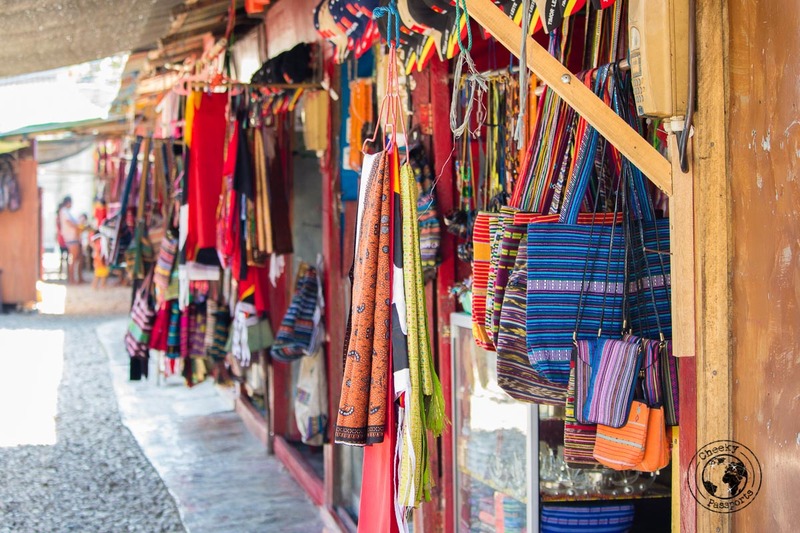 Tais Market is way more popular with foreigners than Taibesi, since it sells all manner of handicrafts including woven goods, jewellery and bags. The quality is pretty good, and if you’re looking for souvenirs to take home with you, this is your go-to place! The prices here are cheaper than those you would pay for similar items in Timor Plaza, and the shops are a lot more inviting! Even better is the fact that you are in no way hassled to buy items, or even harassed to “just take a look” as with other markets pretty much all around the world! If you’re looking at what to do in Dili, be sure to put this on your list! 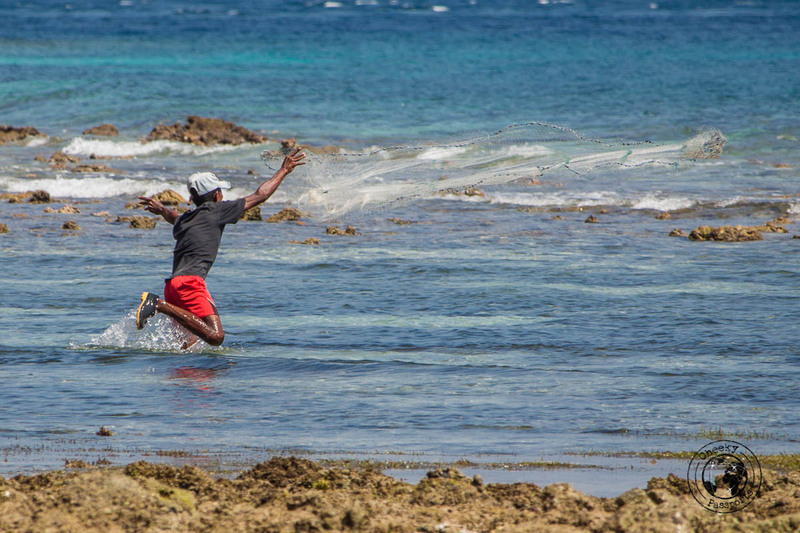 Dili’s long promenade is not the polished kind, and you are likely to encounter fishermen going out to sea and kids playing around as you walk along it, making it a great spot from which to observe local life. Just be sure to mind the potholes (read craters) in the pavement! A fruit market, some bars and a number of hotels can also be found along the promenade which leads all the way to the Cristo Rei statue. This should be one of the relaxing things to do in Dili, Timor-Leste, but the oppressive heat may make your walk slightly less relaxing! Several mikrolets pass by the waterfront so you can always stop one if you decide you’ve had enough of walking! 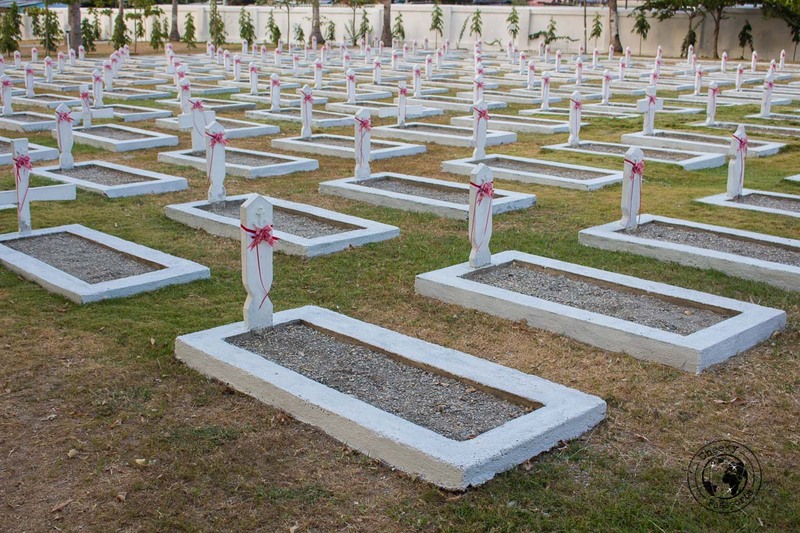 If you would like further insight into Timor-Leste’s turbulent past, head over to the now peaceful Santa Cruz cemetery which is where the infamous Santa Cruz massacre took place in 1991, when at least 250 East-Timorese pro-demonstrators were killed by Indonesian troops. 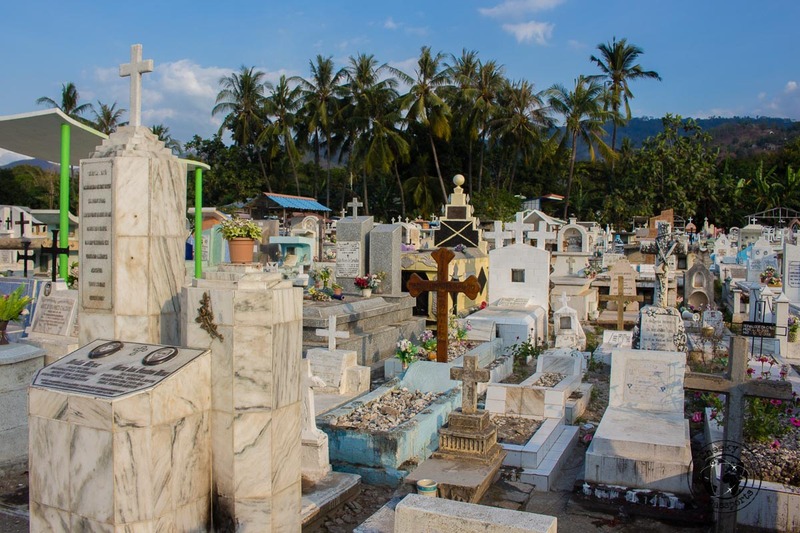 The cemetery itself is very crowded with dilapidated, yet detailed graves, some plain, whilst others very colourfully decorated. This apparent randomness makes for a good photo opportunity, and makes it one of the more interesting things to do in Dili, Timor-Leste. Sebastião Gomes, a prominent East-Timorese freedom fighter whose death was being mourned by the activists just before the massacre is also buried here. With respect to budget, visiting Atauro Island can go either way. It may be affordable or really expensive, basically depending on how long you wish to stay. The budget-friendly way of reaching Atauro is by using the Nakroma ferry, a Saturday-only ferry service which costs a mere $5 each way. 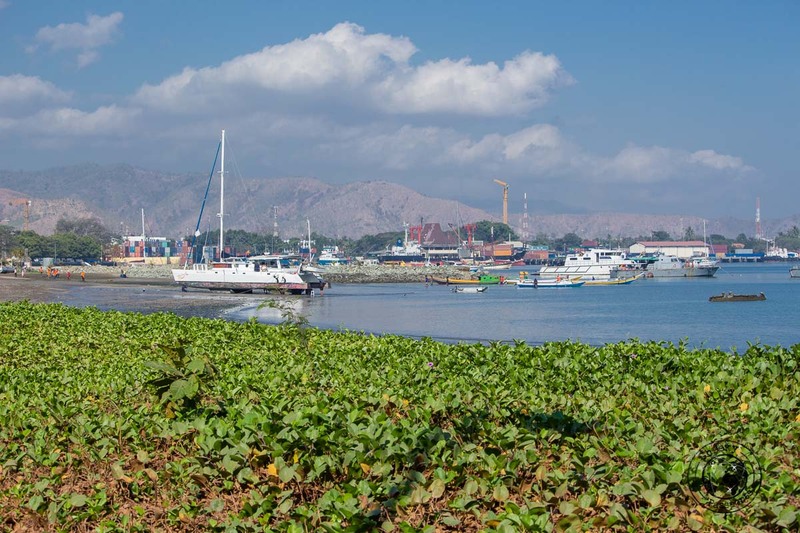 This ferry departs at 9am from Dili and after a short layover, leaves Atauro at 3pm. The crossing takes anywhere between 3 to 5 hours depending on the currents. By using this ferry, your options are either to stay on Atauro for just a couple of hours (not worth the hassle), or to stay there one full week. That is realistically the only budget-friendly option for getting to the island. Private transfers to the island cost $45 per person each way, so even using the ferry one way and private transport to get back (or vice versa) would set you back $50 per person. The island itself is beautiful with grassy slopes and a pristine coastline, with crystal-clear waters rich in marine life. The diving and snorkelling around here is excellent, though anything but cheap! If you have a week to spare, visiting Atauro Island is easily one of the top things to do in Dili on a budget! Alternatively, take a multi-day tour of Timor-Leste, including a trip to Atauro. We booked a room in Vila Bemori before arriving in Dili, which, at $30/night was our most affordable option. Good choice it was! All other hotels, guesthouses or hostels were way more expensive at $50-$100 a night (if you are coming from other parts of Southeast Asia, you will find that Timor-Leste is considerably more expensive!). You may check availability here. Our room on the first floor included a private bathroom, a large double bed, an a/c unit, a TV and even a refrigerator. We honestly believe that this is the best value for money you can get in Dili and feel very lucky to have found it. A breakfast consisting of coffee and a Portuguese bread roll with jam, was also included. The villa caters mostly to long-term guests and expats so we shared common areas with a family from Cuba, a lawyer from Capo Verde and an Asian woman (we never found out where she was from). 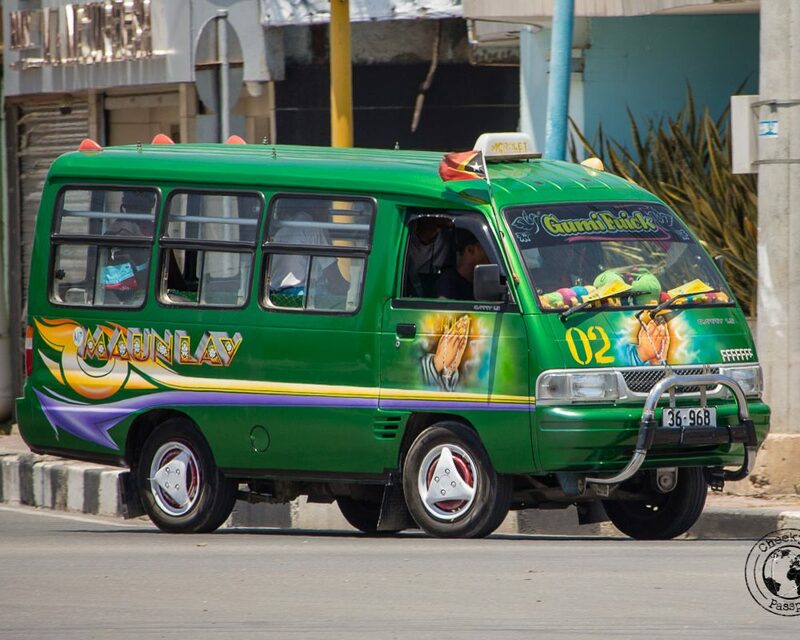 Dili is home to hundreds of mikrolet vans which ply along the roads on pre-defined routes. If you are looking for things to do in Dili on a budget, be sure to use mikrolets for transport because they make visiting places so much more affordable! An unofficial map of mikrolet routes can be accessed here. The site hasn’t been updated in a while and misses some of the routes, but it’s your best shot of getting a grasp of the routes. Microlets can be identified by a large number on the front, back and top, and their colour code. To get on, just flag an oncoming vehicle anywhere on the street. To get off just tap a coin on the handrail. Following what the locals do is always a good idea! The price per journey is maximum $0.25. Some lower silver denominations are also accepted for a short run, but better play it safe if you don’t want to be told off! If you’re carrying large bags or feel uncomfortable in a (very) crammed space, you can get a yellow (very run down) taxi for about $2 – $5 depending on the distance you wish to travel. A taxi from the airport to the city centre costs about $10 ($5 if you bargain heavily). Make sure to agree on the price before you climb on to the taxi. These are the newer and metered equivalents to the yellow taxis. They are run by a company which can take phone bookings. The ride is very comfortable and airconditioned, and some of the drivers can speak basic English. Just make sure that the driver doesn’t forget to put on the meter when you climb in. Expect the ride to be slightly more expensive than that on the yellow ones! 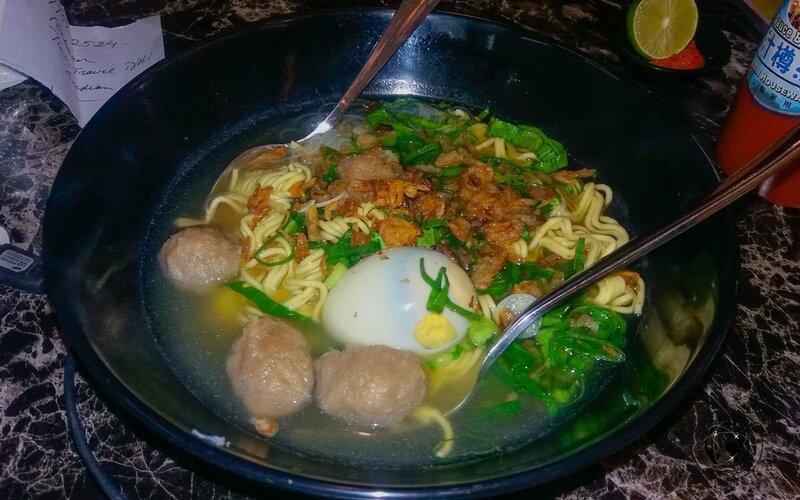 Food in Timor-Leste is way more expensive than it is in most other parts of Southeast Asia, and even the simplest of warungs (local eateries) charge a lot more than their Indonesian counterparts, particularly when the ‘malae’ (foreigner) unofficial surcharge is applied. 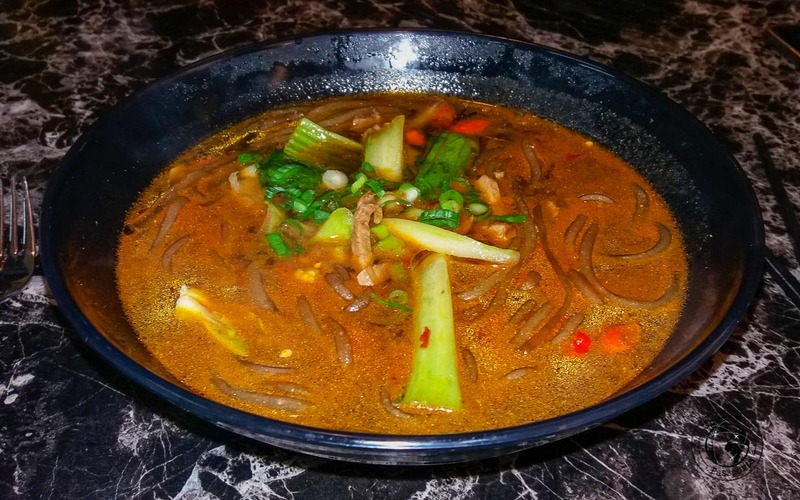 Despite its name and the variety of cakes on offer, this little coffee shop also serves meals such as soups, a variety of rice and noodle dishes and chicken burgers. Most soups are served in massive portions and cost between $5 and $6. Other dishes are priced similarly. After looking at where to eat in Dili, we though this was a great find! 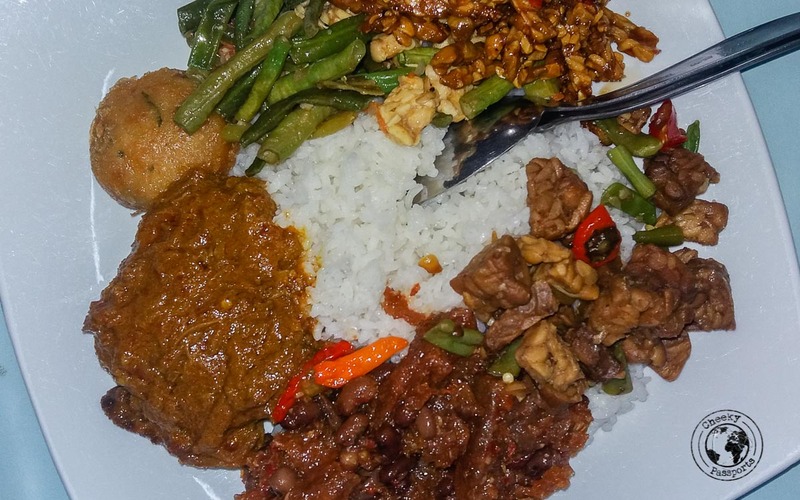 This restaurant is more of a revamped warung serving a very wide variety of beef, chicken, vegetable and traditional dishes. Our bill regularly totalled $11 including drinks, which in Timor-Leste is a good price to pay for the large amount of food we ordered! 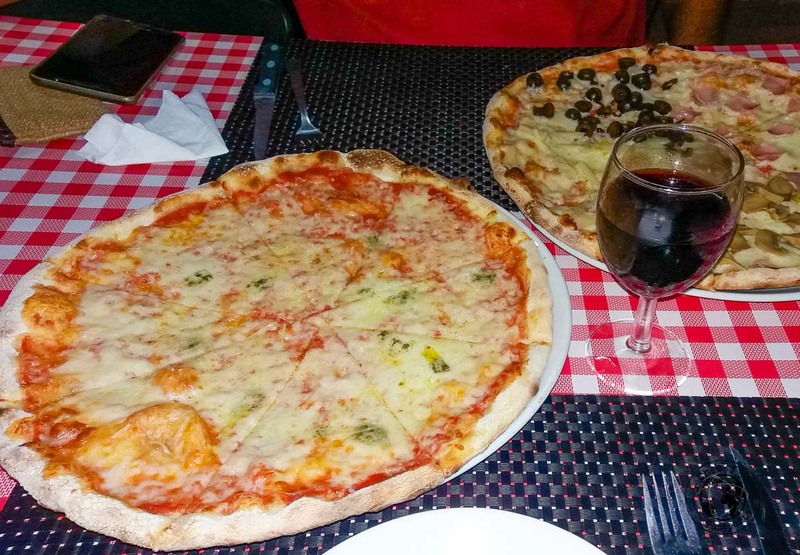 Dili is also home to several westerns restaurants amongst which is an Italian place dishing up huge “real” Italian pizzas, a rarity in Southeast Asia! We came here for Nikki’s birthday and had a wonderful, filling bruschetta, two pizzas (visiting Italy regularly on foodie trips back in Europe, we can confirm that this is the real deal), 2 glasses of wine and a divine cheesecake and chocolate mousse. The bill totalled $50 which is way more than our allocated food budget as we travel long-term, but hey, we do splurge out a little on birthday celebrations! Furthermore, the Italian chef was very happy to find that we are from Malta and it felt good to practise our Italian after so many months of not hearing a word of it! 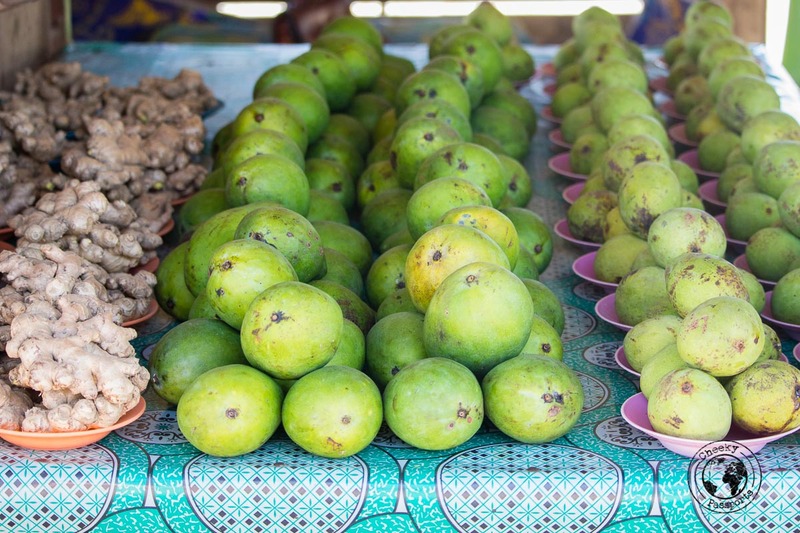 If you’re a wine lover and you’re traveling in Southeast Asia, you will have noticed the apparent lack of Bacchus’ divine beverage in almost every country. Bad wine is found in some cities at very expensive prices! Not in Timor-Leste! Thanks to its Portuguese heritage, the country is blessed with a massive choice of our favourite wines with supermarket prices ranging from $8 – $25 a bottle, which is very reasonable when considering that a glass of wine in many other Southeast Asian cities costs anywhere between $5 – $10! 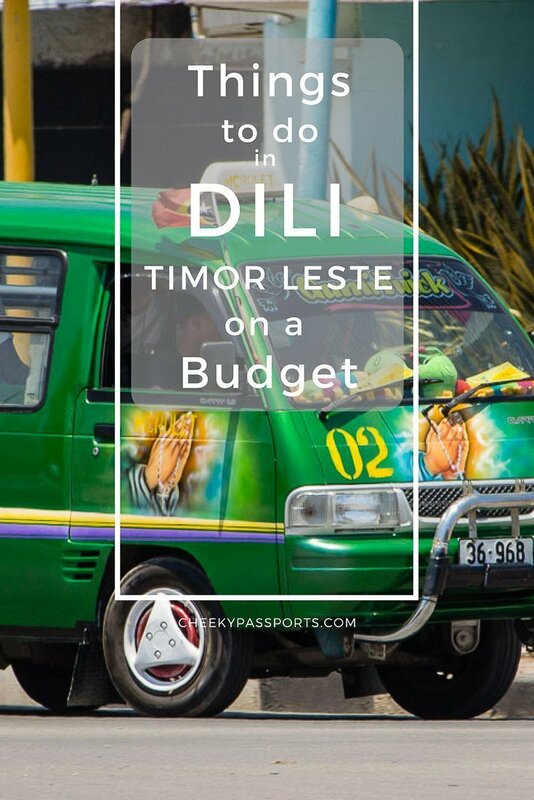 We have discovered that traveling to a Dili on a budget is still possible and although we did spend a bit more of our budget in Timor-Leste than we did in other Southeast Asia countries, we surely did not break the bank! 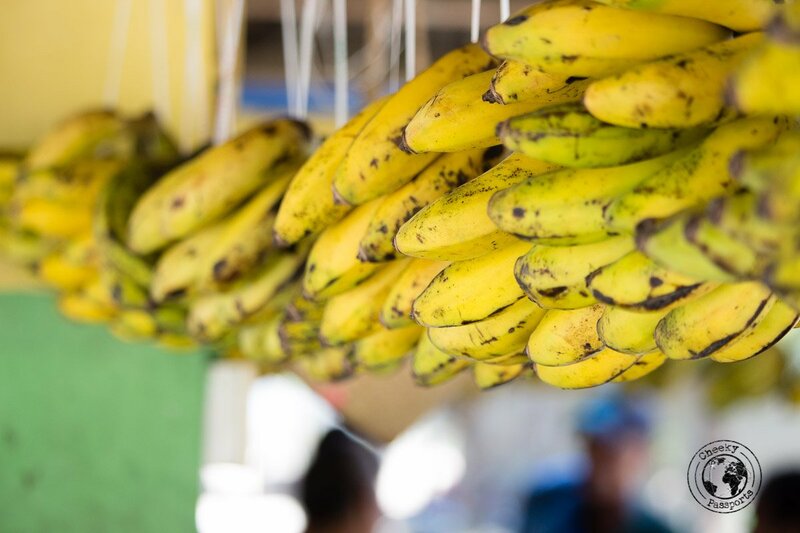 We hope that our budget-friendly list of things to do in Dili has inspired you to travel there! 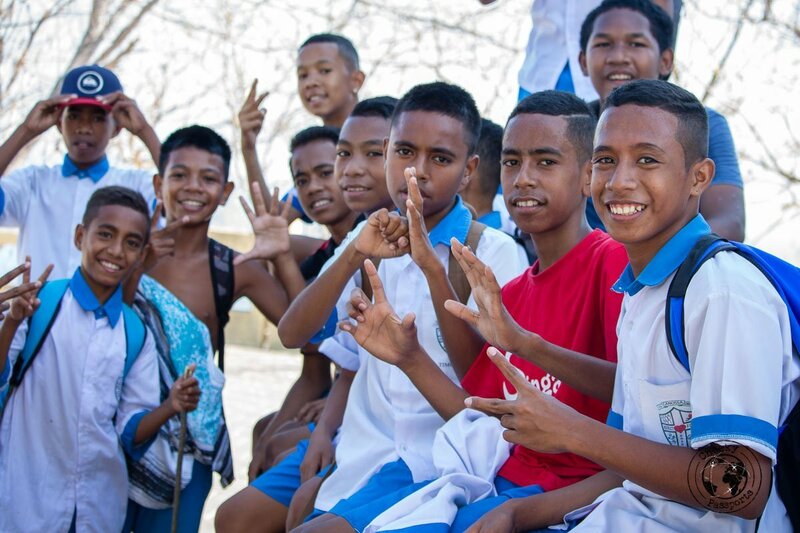 Take a look at our travel expenses in Timor Leste here. Indeed, it one of the least visited places in Asia! 🙂 Happy travels! Try our homestay next time? Hi Meg, we will surely consider on our next trip to TL 🙂 Oh and thanks for recommending our post to your clients. The most enjoyable and free thing I found to do was to walk around and meet the locals. Especially the harbour in the afternoon with its cool breezes. Its not hard to learn basic Tetun before you arrive, and everybody’s happy to help you with it when you get there. Especially the (cheap) taxi drivers who know some english. Q. How many people can you fit on a mikrolet?